A few months ago I shared my latest project, 5 Hebrew Words that Every Christian Should Know. It’s a bite-sized Bible study of five flavorful Hebrew words. It’s a little different than any study you’ve likely done before. Readers explore the breadth of each Hebrew word by examining it in various passages and by comparing Bible versions. 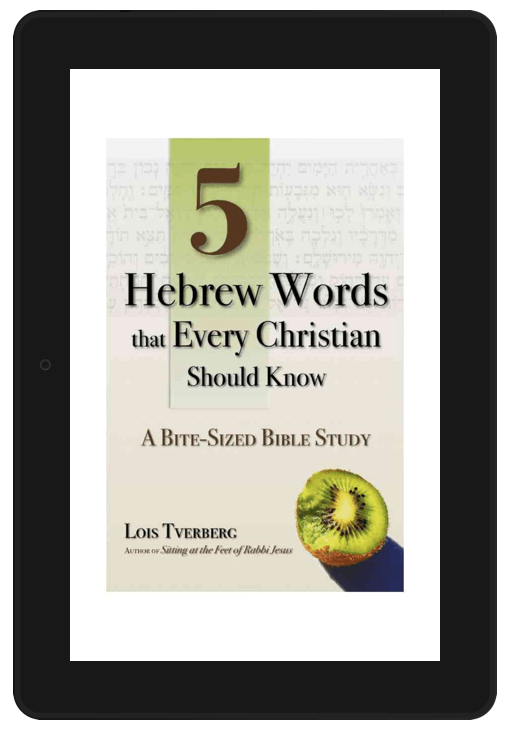 To make this easy, 5 Hebrew Words is designed as an ebook rather than a printed book, so that it can link readers to verses in Bible translations online. It’s $3.99 in the ORJ bookstore. More details and a sample here. I’ve done this kind of comparative word study with a handful of friends, and they’ve loved it. But I’ve never been able to do this with a larger group because people need to use multiple Bibles. Now, because of the links in the ebook, it’s easy. Rather than just being told what a word means, you’re enabled to come to your own conclusions. You’re free to hunt through other verses and versions if you like too. The ebook is not long, but it allows folks to get a taste of how translators deal with the expansiveness of Hebrew words, which are richer and wider than their English equivalent. Just to point out, the ebook available on this website is a pdf, which can be read on any computer, including Kindle – see instructions below. It also comes with permission to print a copy, which isn’t possible on e-readers. And it’s $1 cheaper.